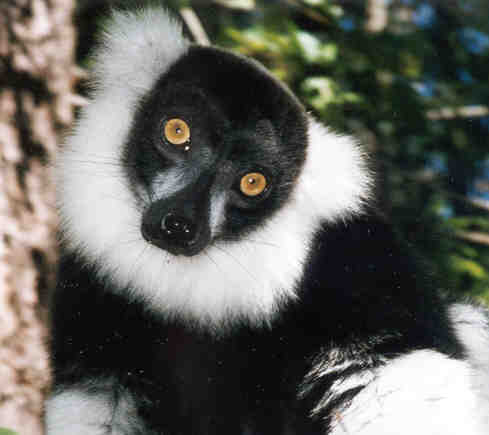 Ruffed lemurs are the largest extant lemurs within the Lemuridae family. 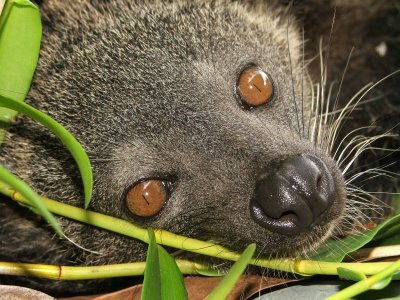 Like all other living lemurs, they are endemic to Madagascar. There are two species of ruffed lemurs that are now recognised – the black and white ruffed lemur and its 3 subspecies, as well as the red ruffed lemur. Ruffed lemurs are diurnal, and are arboreal. 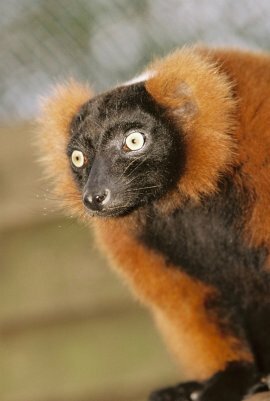 They are often seen leaping through the upper canopy of the tropical rainforests in eastern Madagascar. They also are the most sensitive to any disturbance of their natural habitat. They live in multiple female or multiple groups and have a flexible and complex social structure which is describe as fission-fusion. They are loud, highly vocal, and make raucous calls. These animals are seasonal breeders. They also have an unusual reproductive strategy. They are considered an evolutionary enigma, as they are the largest living species in the family Lemuridae, but they actually exhibit the reproductive traits that are more common in the small and nocturnal lemurs. These behaviours include a short gestation period of about 102 days, and average litter sizes of about 2 or 3. 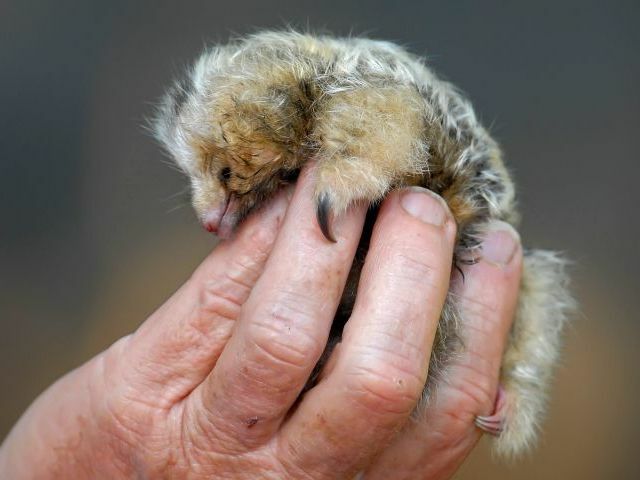 They also build nests for their newborns, and are the only primates that actually create these. They also carry their newborns by their mouth, and have a rather absent parental system as they stash them away while they go foraging. Infants develop quickly and travel by themselves in the wild after 70 days. They reach full adult size after 6 months. Sadly, as they are sensitive to any kind of habitat disruption, the ruffed lemurs are facing extinction. However, as they reproduce readily while they are held in captivity, they have been gradually re-introduced into the wild since 1997. There are several organisations that are involved with conserving ruffed lemurs. These include the Lemur Conservation Foundation, Durrell Wildlife Conservation Trust, Monkeyland Primate Sanctuary in South Africa, the Madagascar Fauna Group, Duke Lemur Center, and the Wildlife Trust.